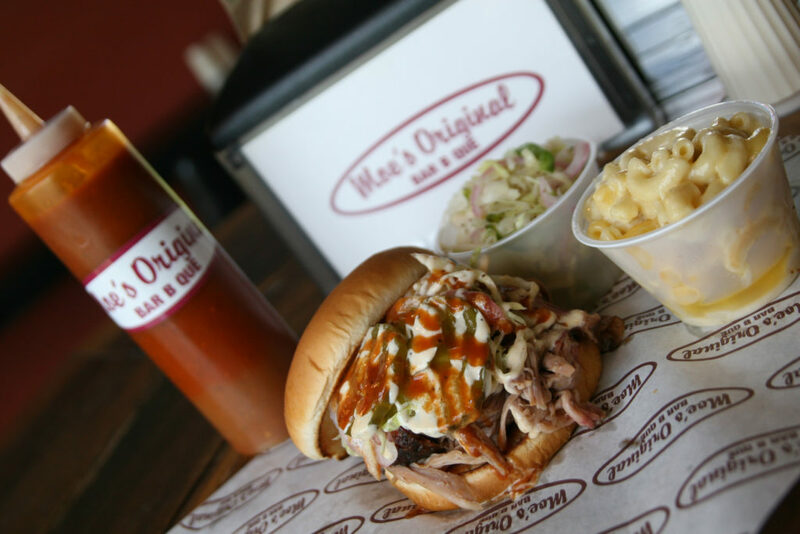 What do you do when you love BBQ? You learn from the best – and then smoke, cook, and eat well. And, if you’re Moe’s Original Bar B Que Founder Mike Fernandez, you turn that business into a way to give back, teach, and provide great food. But let’s start at the beginning, shall we? Fernandez, originally from Tuscaloosa, Alabama, learned how to fire roast meats from Tuscaloosa BBQ legend Moses Day. From there, he founded Moe’s Original Bar B Que out in Vail, Colorado (where he went to culinary school) – and has gone on to grow a business with over 50 franchises in a plethora of states. Fernandez’s mission is two-fold – to provide a unique and delicious dining experience, and to be a cheerleader for young entrepreneurs by providing opportunities and education. The geography of the popularity of southern cuisine, especially BBQ, is interesting to track. 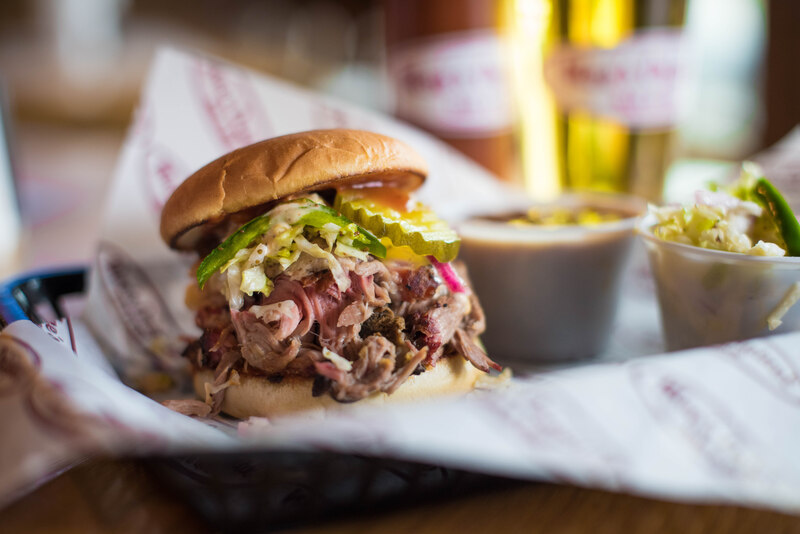 When we talked, Fernandez noted, “people love BBQ – it’s unique, and you know what you’re getting into. 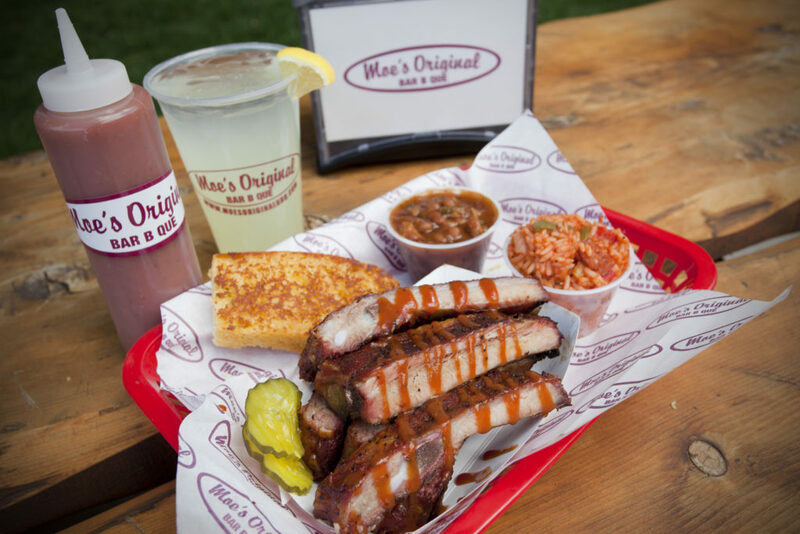 In Vail, people eat BBQ four times a week; in Maine, once every few weeks…and in the south, everyone is always bbqing!” At Moe’s, people enjoy a meat and 3 – which is an entree, two side dishes, and a beverage. A look at their menu shows me that it would be difficult to choose exactly which, to be honest. 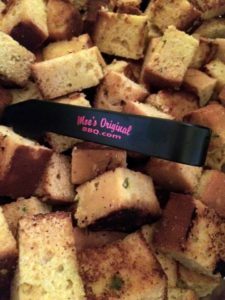 But one thing that I always love is cornbread, and so I’m extremely pleased that Fernandez picked that recipe to share with us! What most impressed me, when talking with Fernandez, was his commitment to the growth and development of young entrepreneurs. Having been one himself, he knows how important it is to have a mentor. So most of Moe’s franchises are located in college towns, and hire young adults as staff. When these college students graduate, Fernandez helps them get a store. He said that he has a vested interest in these young people, and is always trying to figure out how to help them. When I remarked on this generosity, Fernandez said he’s humbled by his success, lucky as hell, and happy to teach and share what is important. Indeed. 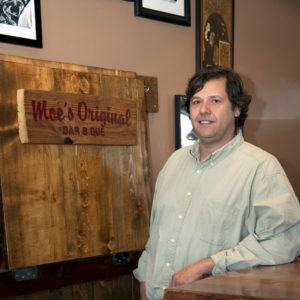 Stop by Moe’s, in one of their 50 and growing locations (come to Michigan, Mike, please! 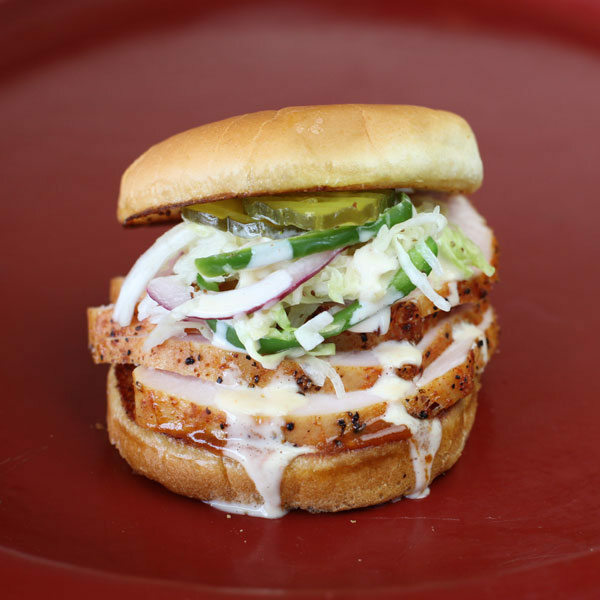 ), and know you’re not only getting great food, but supporting a business that is a cheerleader for their employees and creating small businesses that serve communities. Win/win! 40 years. My mother taught me to cook when I was young. She is from Sicily, Italy, and we cooked together every Sunday. What is your favorite food to cook? Fresh fish that I catch myself. What do you always have in your fridge at home? What do you cook at home? What marked characteristic do you love in a customer? One that knows about food and can tell when something tastes different. I love when they want to learn, because I love to teach. What marked characteristic do you find unappealing in a customer? Least favorite thing to do in a kitchen? Favorite types of cuisine to cook? Beef, chicken, pork, or tofu? Food you like the most to eat? Food you dislike the most? How many tattoos? And if so, how many are of food? None – my mom would kill me. Beat eggs, add jalapenos and onions. 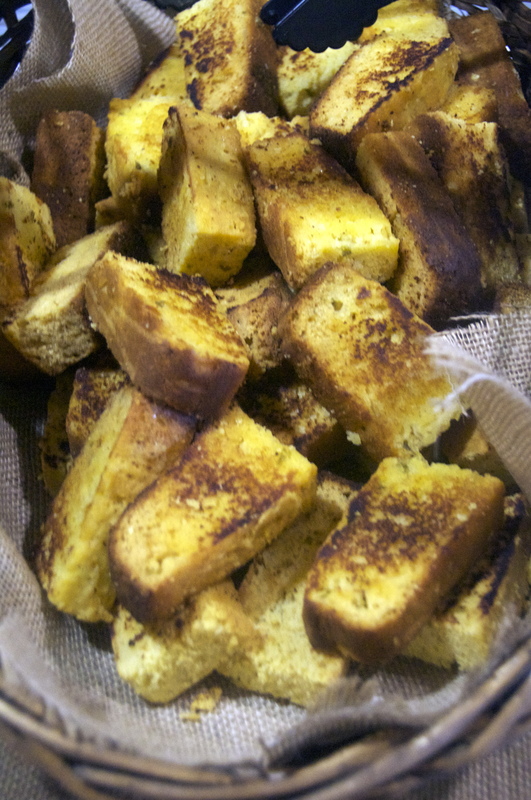 Add milk and then mix in 3 packages of cornbread mix. Spray with Pam heavily (if old pan, add parchment paper to release) onto large 4×10 loaf pan. 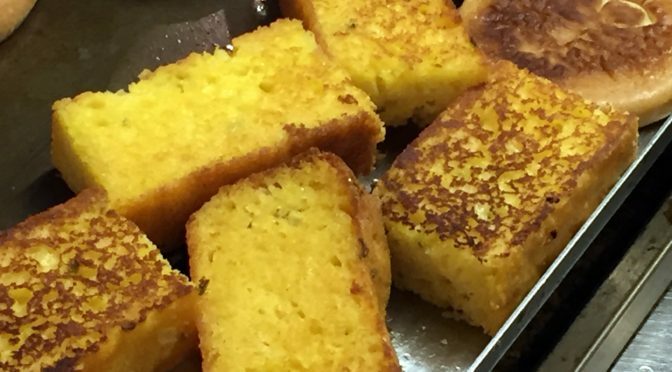 Pour in cornbread mix. Preheat to 325. Bake 1 hour. When done, it should be firm to press. Do not overcook. Using rubber spatula, slice into 12 slices at 3 quarters of inch each. It’s easier to cut cold or bread will crumble. Brush one side with margarine or butter. Place buttered side down on griddle. Fry til crispy.